PHILADELPHIA – For the first time ever, a former minister and spokesman of a Liberian rebel faction was found guilty for committing immigration fraud based on the denial of his senior role in the NPFL and his commission of war crimes. During the three-week trial, witnesses and victims, including child soldiers, testified in court to the most horrific crimes committed by the National Patriotic Front of Liberia (NPFL) during Liberia’s 1st Civil War (1989-1996). Civitas Maxima and its Liberian sister organization, the Global Justice and Research Project (GJRP) assisted the U.S. authorities during the investigation and monitored the proceedings. “Thomas Woewiyu’s trial is crucially significant for Liberia. Never before were the crimes of the NPFL described in such detail in a courtroom. An important piece of our history was documented during this trial” said Hassan Bility, an awarded human rights defender and GJRP’s director. Thomas Jucontee Woewiyu faced justice in Philadelphia for lying to U.S. immigration authorities about his command within the NPFL. He was charged with 2 counts of fraudulently attempting to obtain citizenship, 4 counts of fraud in immigration documents, 3 counts of false statements in relation to naturalization and 7 counts of perjury. After three weeks of trial, a jury found him guilty of 11 out of the 16 counts. A detailed list of the charges and verdict can be found here. Woewiyu’s sentencing is scheduled for October 15, 2018. He faces a maximum of 110 years in prison and a maximum fine of $4 million USD. Woewiyu, alongside Charles Taylor, founded the NPFL and served as the Defense Minister and Spokesman of the faction while it conducted a brutal military campaign across Liberia. 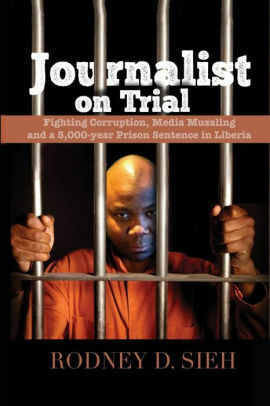 In order to prove his guilt, the prosecution called thirty-three witnesses including victims of the First Liberian Civil War, journalists, high-ranking foreign officials, and U.S. immigration officers. “Many victims courageously travelled from Liberia and were incredibly brave to take the stand. It shows that there is no fear anymore to hold these perpetrators accountable. 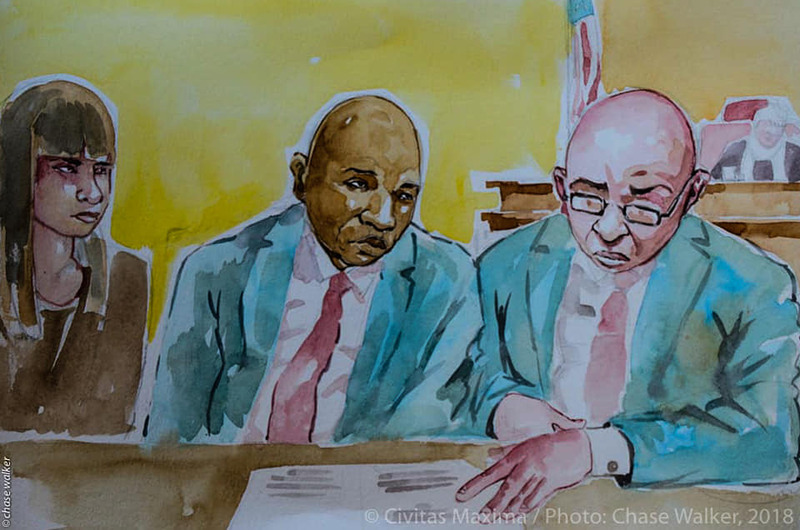 Increasingly, victims will find justice and their voices will be heard.” said Alain Werner, director of Civitas Maxima who worked as trial attorney for the prosecutor’s office during Charles Taylor’s trial in front of the Special Court for Sierra Leone.